WHO DO YOU THINK YOU ARE? returns this spring to give eight new celebrities a unique opportunity to dig into their roots and learn more about their family history. The two-time Emmy nominated series is Executive Produced by Lisa Kudrow and Dan Bucatinsky. New episodes begin Sunday, March 8 at 10/9c. * Melissa Etheridge, who heads to Quebec to trace the history of her paternal side, learns about the scandalous marriage of her 6x great-grandparents. * America Ferrera, who brings the series to Honduras for the first time ever, learns about the father she barely knew, and unravels her great-grandfather’s role in the violent Central American political system. * Tony Goldwyn, who is familiar with his prestigious paternal Hollywood lineage, but knows little about his mother’s side of the family. In his episode, he comes to learn about his 3x great-grandparents, who fought for women’s rights and westward expansion. * Josh Groban, who discovers his 8x great-grandfather was a highly educated and renowned scientist that studied astronomy, and was quoted by Isaac Newton himself. WooHoo! 19 Years and Counting for Olive Tree Genealogy Website! Happy Birthday to me! Happy Birthday to me! 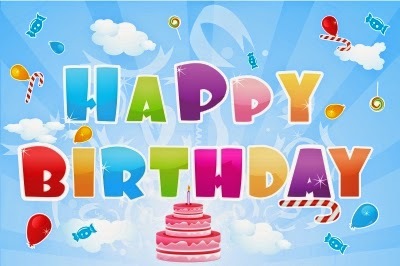 Happy Birthday to Olive Tree Genealogy...... Happy 19th Birthday to me. Olive Tree Genealogy began sometime in the winter of 1995 but it wasn't until February 1996 that it was given space on the old Rootsweb site. Eventually I purchased my own domain name "Olive Tree Genealogy" and set up another site as a companion to my "Ote" site. I am often asked why I created Olive Tree Genealogy. After my husband died in 1993 and I was injured at school by a student, my enforced inactivity and loneliness was pretty tough to take. A friend suggested I learn how to set up a website on this new phenonemon called "the internet". Many of the big sites we use today did not exist when I set up Olive Tree Genealogy. CyndisList came online right after me. Rootsweb started up around the same time. Ancestry.com didn't exist. Hard to imagine, isn't it? Olive Tree Genealogy is a senior in Internet days. Back then the few genealogy sites online were, as all sites were, battleship grey with no fancy bells and whistles like search engines! I started with one ships passenger list and some historical articles I wrote about Huguenots, Walloons, Loyalists and Palatines. That ship's list was so popular and I received so many requests for more that I began hunting for others. Now Olive Tree Genealogy has over 1,500 ships lists online. And they're all free. What am I up to now? Well I'm busy with writing my books and maintaining my blogs and websites as well as my personal genealogy research of course. Here's a list of my main blogs and websites. 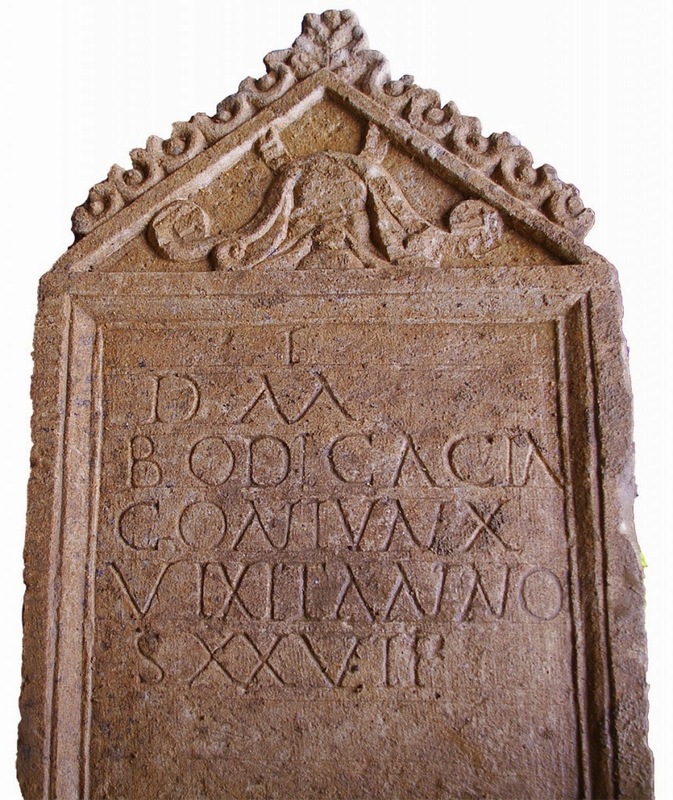 Cotswold archaeologists believe that the skull found under the stone is that of Bodica. 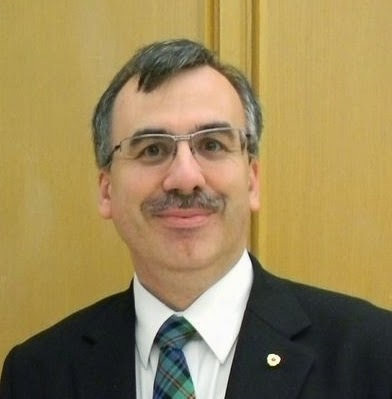 Ken McKinlay is an Ottawa Ontario based genealogist. Olive Tree Genealogy recently interviewed Ken so that I could introduce him to my readers. How and when did you become involved in the field of genealogy? I first became involved in genealogy and family history due to my curiosity. I had always heard stories that a branch of the family was descended from Loyalists, another branch came to North America on the Mayflower, and yet another branch came to Scotland from Ireland. I wanted to find the truth behind each of these family tales. Amazingly enough those stories have all turned out to be true. I have been able to document that I am a descendant of Lt. Caleb Howe of the Queen’s Rangers (I have three or four other Loyalist lines I’m working on too), I can trace one of my lines to Elizabeth Tilley of the Mayflower (I’m also looking at a possible Brewster connection), and the McKinlay family that settled in Thornliebank, Scotland did come from Londonderry, Ireland around the late 1830s. 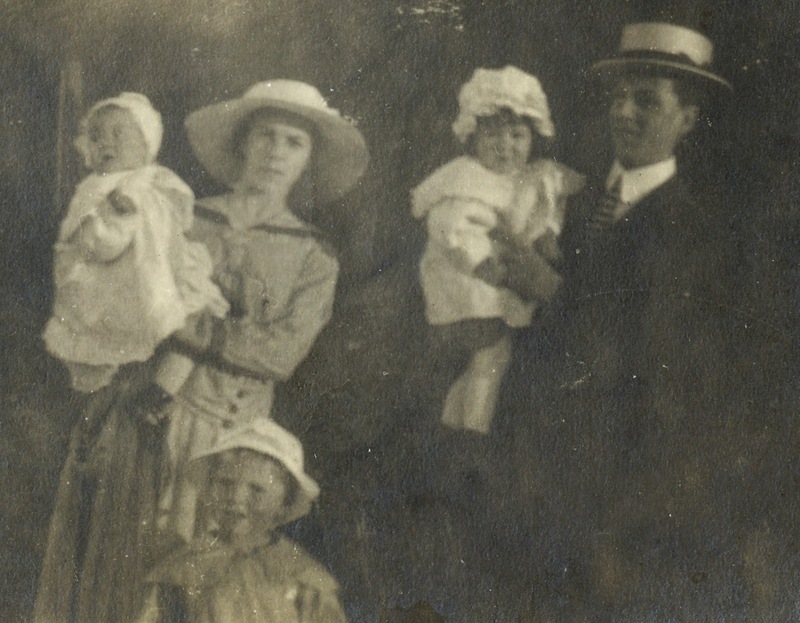 What is your main genealogical focus? Over time my genealogical focus has gone from researching my own roots to doing research for clients and also helping out those that post to certain genealogy related groups on Facebook. What I enjoy most is sharing my knowledge. What I’ve found is that I enjoy teaching people how to do research, whether it be speaking at a society meeting (a little stressful for me but I do enjoy it), blogging, or telling someone where I found the information I had posted in response to their Facebook query. If I can educate someone as to how the information can be found that then means they can better learn how to do their own research. What are your website(s) and blogs? 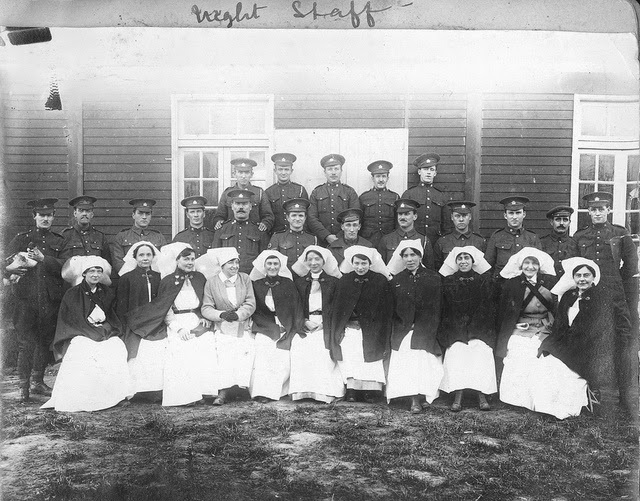 I do have a blog called Family Tree Knots found at http://familytreeknots.blogspot.ca/. There the focus is on the methodologies of genealogy research and where to find those oftentimes elusive records. When I’m dealing with my own research my blog becomes a “lessons learned” post plus a way to share the findings with family members. Do you believe a Social Media presence is important? I find that a Social Media presence is important since it allows me to interact with a much larger audience than just that found in the Ottawa region. It may be that I have information that someone is looking for or, more often, someone else has the information I’m trying to find. A simple post or query using the applicable site can lead to the key answer or document to resolve an outstanding problem. Are you a member of any genealogical societies or organizations? 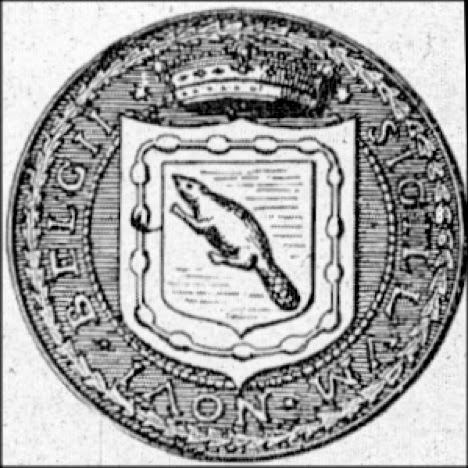 I’m a member and director at large of the British Isles Family History Society of Greater Ottawa (BIFHSGO), a member of the Ottawa branch of the Ontario Genealogical Society (OGS), a member of the United Empire Loyalists’ of Canada (UELAC), and a member of the Association of Professional Genealogists (APG). What does genealogy mean to you? Why do you believe it is important? Genealogy is not only a way of learning about where the family came from but also the impact that history and society has had on each of us. We all have heroes and villains in our tree and they make the research interesting. Yet it is the common person that has helped bring us to where we are today. Finding out the causes of why the family moved from Ireland to Scotland or from a village in Yorkshire to the industrial city of Glasgow can make the history that they teach in school much more interesting. What do you believe is the most exciting development in genealogy today? I think there have been two important and exciting developments in the past several years. The first is the increased amount of documents that are now available to researchers without the need to either visit an archive or library or to send away and way weeks or even months for a response. That isn’t to say that archives and libraries aren’t important. Those brick and mortar buildings are a vital component to our research. However, with more records available at relatively low costs or even free anyone can start research their family tree. The second is genetic genealogy. As an adjunct to tracing the various lines using the well-known paper records, DNA testing has helped make connections to possible distant cousins. Do you have a prediction or hope for the field of genealogy in the future? In the near future I think that with the continued digitization projects more “lost” clues on our families will be uncovered. However, I don’t think it will be a rosy future 50 to 100 years from now when it comes to future genealogists trying to figure out our lives. So much of what used to be recorded in newspapers or even in letters is now being done electronically. Yet we don’t know if that information will survive us. 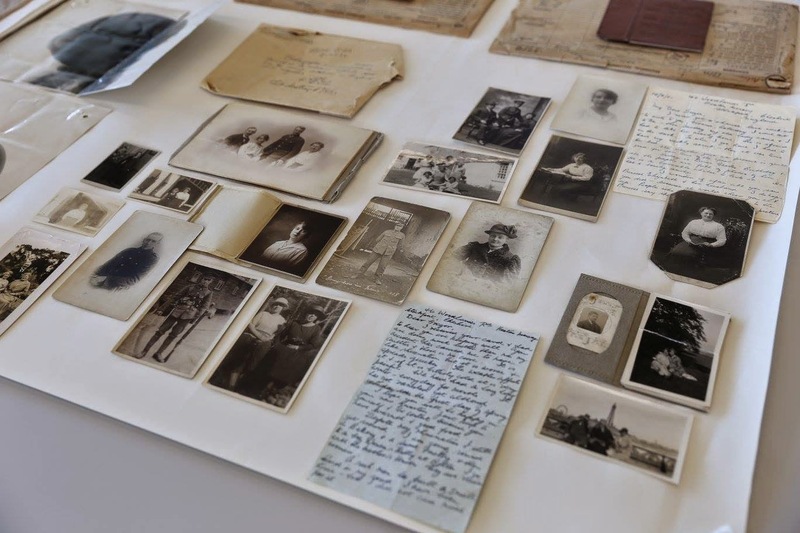 The Quebec Family History Society presents Roots 2015 – An international conference on family history in Quebec from June 19-21, 2015 at McGill University, Montreal, Quebec. It is the largest English language genealogical conference held in Quebec. Some featured speakers are: Gary Schroder, President of the Quebec Family History Society; Lesley Anderson, Teacher and Consultant with Ancestry.ca; Edward Zapletal, Publisher, Family Chronicle, Internet Genealogy, and History Magazine; Ed McGuire, President of the Vermont French-Canadian Genealogy Society; Glen Wright, Author and Lecturer; Johanne Gervais, Computer Specialist and Genealogist; Deborah Robertson, Librarian and Genealogist; Lorraine Gosselin, Lecturer and Genealogist; Marilyn Gillespie, Professional Photographer; Luc Lepine, Author and Military Historian; and Denyse Beaugrand-Champagne, Historian and Archivist with Bibliothéque et Archives Nationales du Quebec. 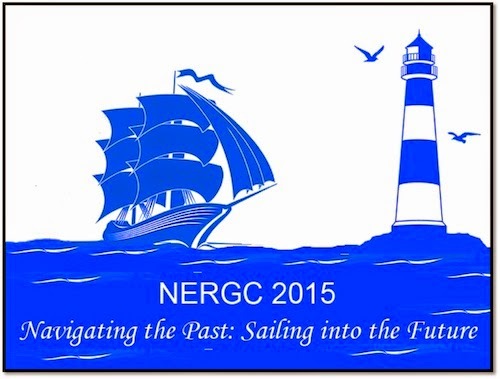 The 13th New England Regional Genealogical Conference Navigating the Past: Sailing into the Future will be held in Providence, Rhode Island on 15-18 April 2015. The conference will include more than 90 lectures by speakers including Judy G. Russell, Lisa Louise Cooke, and Genealogy Roadshow host Joshua Taylor, as well as Ancestors Roadshow, Special Interest Groups, workshops, and a bonus track of presentations in the exhibit hall. Why pay full price? Save 20% by registering now! NERGC Early Bird registration deadline is February 28th. To register online or download the Program Brochure, go to www.nergc.org. (Los Angeles, Ca.) – Hoping to find their biological families, two adoptees team up with hosts Chris Jacobs and Lisa Joyner to embark on an emotional journey in the new one-hour special LONG LOST FAMILY. For hosts Chris and Lisa, the painstaking search for answers is familiar territory. 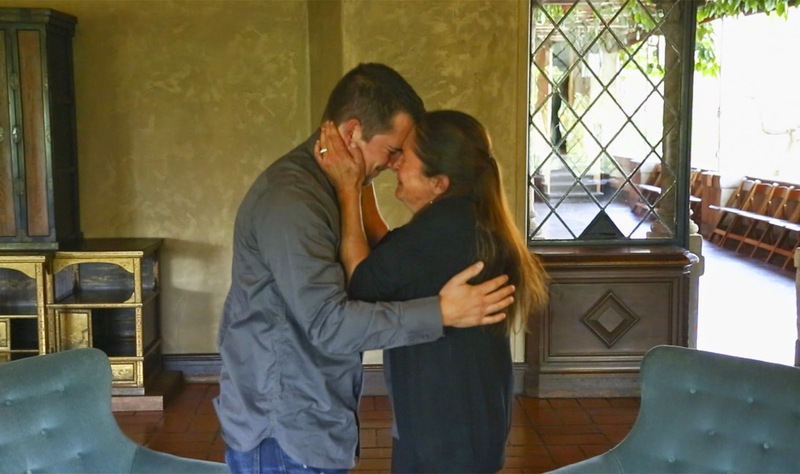 Both of them were adopted as young children, later searching for – and ultimately reuniting with – their biological families. Premiering Sunday, March 1 at 10/9c on TLC, viewers will watch adoptees go through the ups and downs of trying to track down loved ones they’re so anxious to meet. Christopher Hanson hasn’t seen his mother in 30 years. After being left in a grocery store parking lot when he was only 6-years-old, Christopher has been haunted by this memory for most of his life and has always longed to reunite with his mother. Eventually adopted by a loving family, Christopher is desperate to unlock the mysteries of what happened on that day and discover exactly why he never saw his mom again. Paula, a 54-year-old grandmother of 10, knows very little about her biological family. She is longing to meet them and find out why her parents kept her for a few days, only to give her up and never reach out again. Chris and Lisa are uniquely poised to provide emotional support and guidance as the adoptees brace for the rigors of this difficult search. Hitting so close to home for both Chris and Lisa, the two will stop at nothing to try and give Christopher and Paula the news both so desperately want to know. 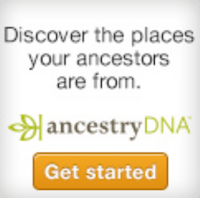 Ancestry.com , the world’s leading family history service, is teaming up with TLC again to sponsor this special. In coordination with LONG LOST FAMILY, Ancestry provided AncestryDNA kits used by the two adoptees to confirm their biological families while Chris and Lisa used records on Ancestry.com to help bring Christopher and Paula’s exhaustive searches to an end. LONG LOST FAMILY is produced by Shed Media who also produces TLC’s WHO DO YOU THINK YOU ARE? 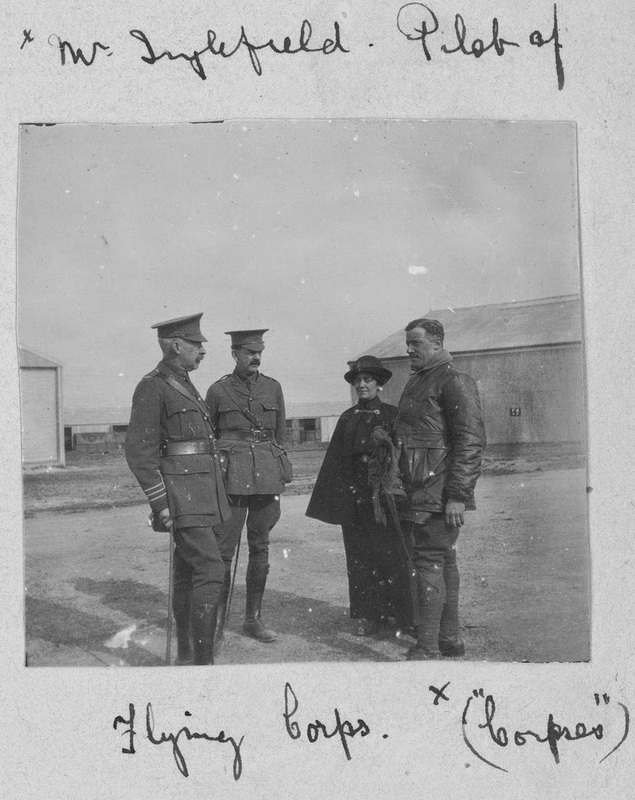 Library and Archives Canada has posted a fascinating series of images showing their digitization process of the CEF (Canadian Expeditionary Force) service files from WW1. Each photo has a brief explanation of what that step entails. Sure wish they could let us see the personal photos and letters that are found in files but apparently that is not going to happen. 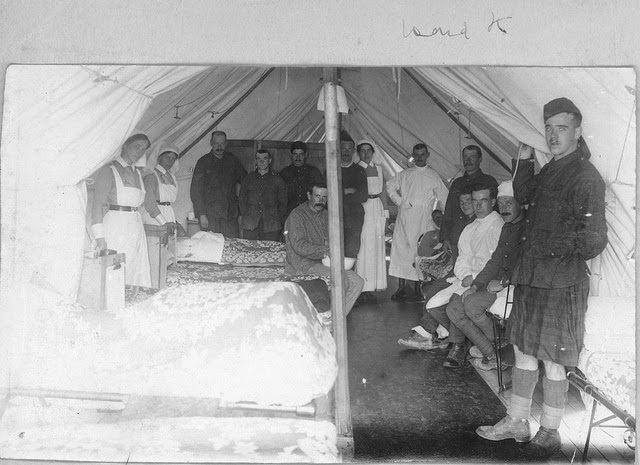 See Vault to Screen: Digitization of First World War Service Files for a glimpse of their setup and process. Yesterday I ordered the proof copy of my new book on the Van Valkenburg-Vollick family. This book has been a dream for many years. I've been researching the Vollick (aka Follick) families for over 15 years in hopes of compiling a book one day. Isaac Van Valkenburg aka Vollick fought with Butler's Rangers during the American Revolution. He and his wife Anna Maria (Mary) Warner settled in Upper Canada in 1782. Isaac's Land Petitions, Affidavits of witnesses regarding his Loyalty to the British Crown, letters about Mary's ordeal after American Patriots burned her home and sent the family fleeing north to Canada in 1779, and other records are found in this book. Stories of Isaac's ancestors back to the first settlement of New Amsterdam (present day New York City) and Albany in the 1620s and Mary's ancestors back to the 1709 Palatine immigration from Germany to New York are included. 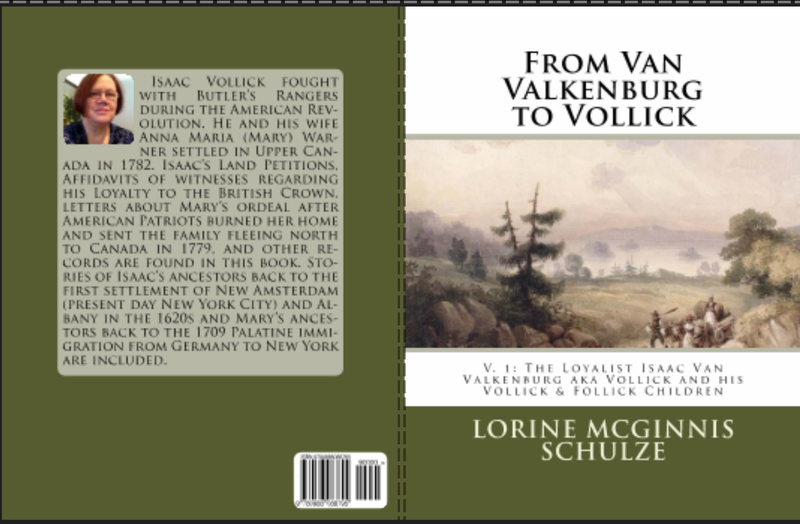 This is Volume 1 of From Van Valkenburg to Vollick and is the story of Isaac Vollick the Loyalist and his sons and daughters. Volume 2 is almost ready for publication (it's about Isaac Vollick's son Cornelius Vollick and descendants of that branh), and Volume 3 has been started (it's on Isaac's son Storm Follick and descendants of that branch). Isaac had 5 daughters so there will be many more volumes to come. 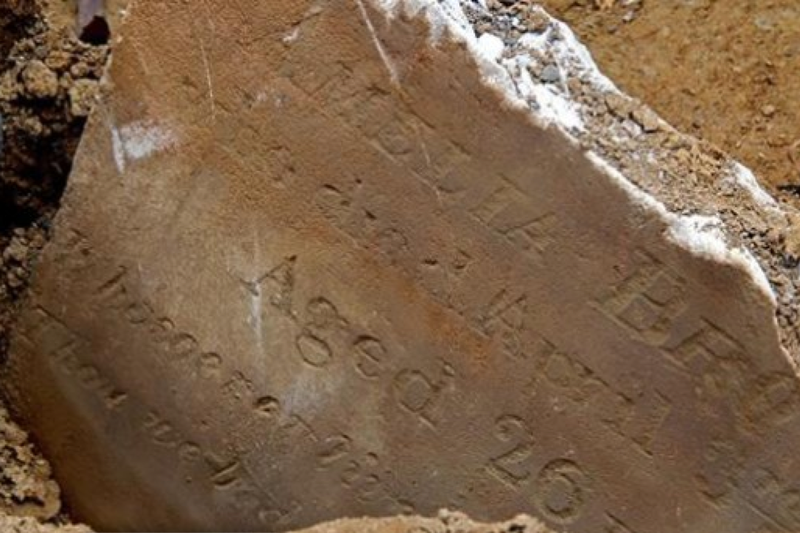 Archaeologists in Philadelphia unearthed what may be the resting place of nearly 3,000 African Amerians buried under a playground in the city’s Weccecoe Park.
" Historian Terry Buckalew accidentally stumbled on a mention of the cemetery while researching the 19th century civil rights activist Octavius Catto for a documentary film project. He found a record of family members of Catto’s fiancé buried in something called Bethel Burying Ground, a site he had never heard of." The names of almost half of those buried have been discovered and historians hope to be able to find the names of everyone laid to rest in that spot. If, like me, you missed out on going to RootsTech this year, don't despair. The RootsTech 2015 Videos of the streamed sessions are now online. As of today the following sessions are available from Thursday and Friday. Still to come are Saturday sessions. Oops missed this by one day! Canada’s national flag celebrates its 50th anniversary! 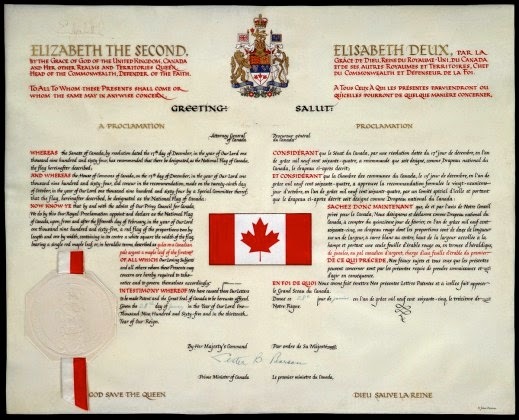 Approved by Parliament on December 15, 1964, the flag was proclaimed by Queen Elizabeth II to take effect on February 15, 1965. Keeping your genealogy research safe and sound is important. I'm so pleased that iDrive is extending their special offer to readers of Olive Tree Genealogy blog! iDrive just received the prestigious PC Mag Editors Choice award for online backup for 2015. iDrive is easy to install and easy to use. There's no learning curve and you can start protecting your years of genealogy research immediately. Thank you Crestleaf for a fun contest! o A new and improved Ancestry.com website will make it easier for anyone to discover and tell the rich, unique story of their family, through new features and site enhancements that will reinvent the ways Ancestry members create and showcase their family story. The new site experience is currently in limited Beta and will be demonstrated at RootsTech On Friday, Feb. 13 at 1:00 pm MT (Room 151) as well as at the Ancestry booth. Visitors to the Ancestry booth will be able to opt in to participate in the Beta. o Ancestry mobile will introduce a full search feature in the iOS app that will empower users to access 15 billion historical records and hints anytime, anywhere in the native app environment. The intuitive interface will make both simple and advanced searches easier, while the presentation of search results will also help you quickly identify and prioritize the most important results, making search less complicated. The Ancestry mobile team will showcase version 1 search in the Ancestry booth and discuss search and other mobile features in length during an FGS class, “Ancestry’s Mobile World,” on Saturday, Feb. 14 at 1:00 pm MT. o Ancestry.com will also remain committed to providing the best in educational resources with the launch of Ancestry Academy in April. The new resource will offer how-to tutorials and historical guidance to help experts and novices alike. Released as a limited Beta this week, Ancestry Academy will be showcased via demo in the Exhibit Hall on Friday, Feb 13 at 3 pm MT. Those interested in participating in this Beta should stop by the Ancestry booth for more information. Rootstech Streaming Schedule - at Last! If you couldn't make it to RootsTech this year, don't despair. Several sessions at RootsTech including the general keynote sessions on Thursday, and Saturday will be streamed live on the home page of RootsTech.org. The inventory of the tombs’ contents, believed to be the mortal remains of some of the early royals of Wessex, will be assessed in the coming weeks. They are also thought to contain three bishops as well as other artefacts. 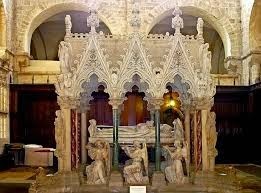 Experts believe those interred include Canute, King of England, Denmark and Norway, his Queen Emma of Normandy, as well as their son Harthacanute. Canute, who died in Shaftesbury in November 1035, was originally buried in Winchester’s Old Minster before work on the city’s cathedral had even begun. 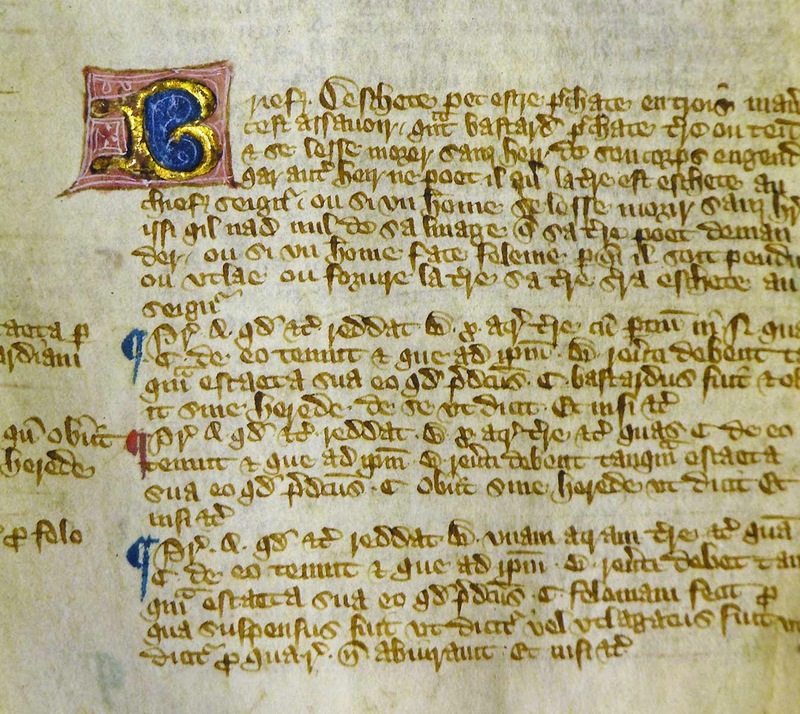 Another copy of the famous Magna Carta has been found in Kent England. Experts are now revising their estimate of how wide-spread the Magna Carta was and now believe it was copied and distributed throughout many churches in England. With the 800th Anniversary of the signing of the original Magna Carta in 1215, this discovery has sparked new excitement among experts. RootsTech is happening February 12–14, 2015 in Salt Lake City, Utah. Here is the schedule for this amazing conference combing genealogy and technology. Since some of the lectures and workshops were streamed last year and are available online, I believe we will see the same thing happen this year. Stay tuned because I will post about that as soon as I know about it. Great news for our friends in Ireland, England, Scotland and Wales. Ancestry DNA is now available to purchase in the United Kingdom and Ireland! 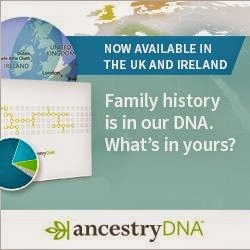 Ancestry.com sold their first DNA kit in the U.S. in 2012, and since then, more than 700,000 people have used AncestryDNA to discover more about their family history. Wonderful news for the U.K. and Ireland but when is it Canada's turn? 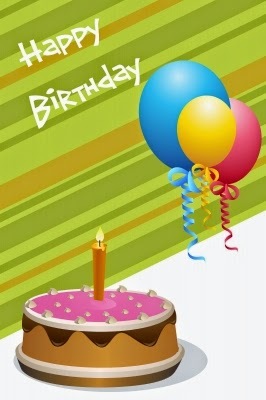 Happy Birthday to Olive Tree Genealogy Blog! Can you believe it is 12 years old? Almost a teenager, wow! It all started when a friend invited me to post on his new blog and suggested I start my own blog. My response was "Huh? What's a blog?" Yep that's right. 12 years ago blogs were just starting up and not many people were aware of them. It was February in Canada. It was cold and snowy and we Canadians always get the February blahs. So I started a blog. This blog. And I found I loved doing it! My family always tell me I'm pretty talkative and here's proof: I've written 2691 blog posts since birth in February 2003. 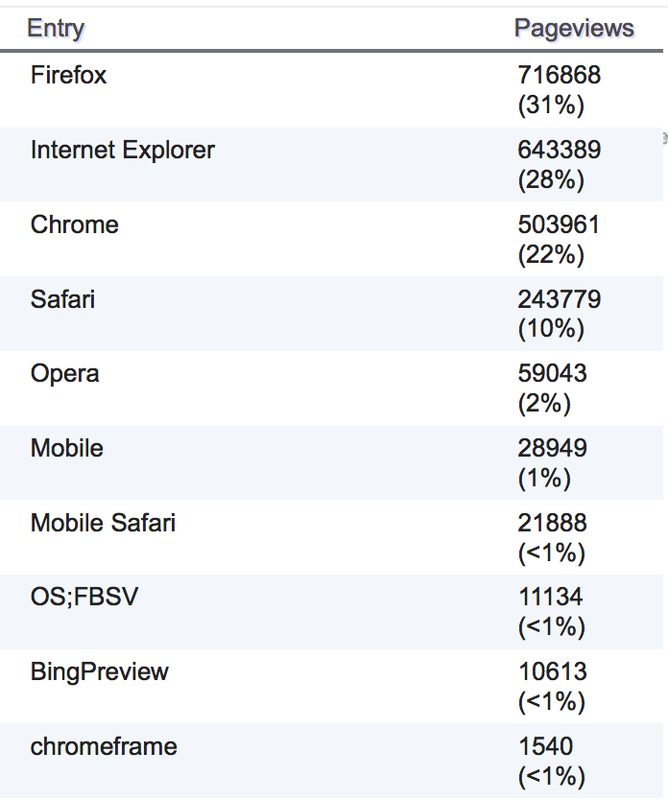 Here's a few stats that might be of interest - one is where my readers live and what browser is most often used. 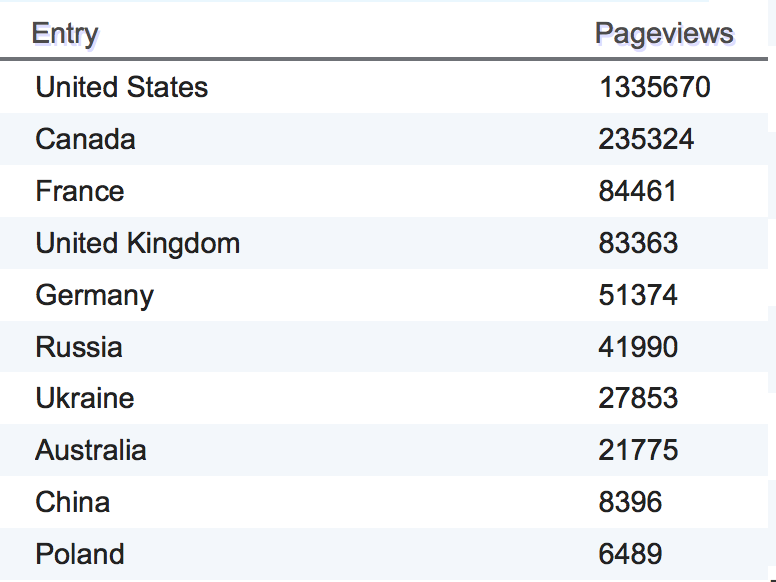 No surprise that the majority of my readers live in the USA with Canada coming in second. And the most popular browser is Firefox. I am surprised at how popular Internet Explorer is! I hope my readers aren't bored with me (yet) as I plan to carry on sharing my stories with you for another 12 years at least!! And now I'm off to have some cake and blow out 12 candles. For the past few weeks I've been a beta tester for the new website Ancestry.com is developing. I love it! 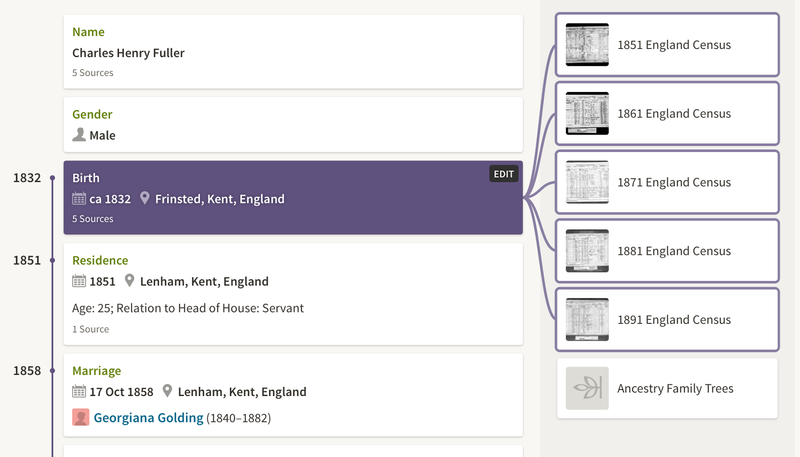 It's visually appealing, easy to use, and has all kinds of nifty features in the Family Tree section. We beta testers have had a few meetings with Ancestry.com executives and I'm happy to report they are listening to our feedback. Library and Archives Canada is pleased to announce the release of a new version of the online database Canadian Directories. 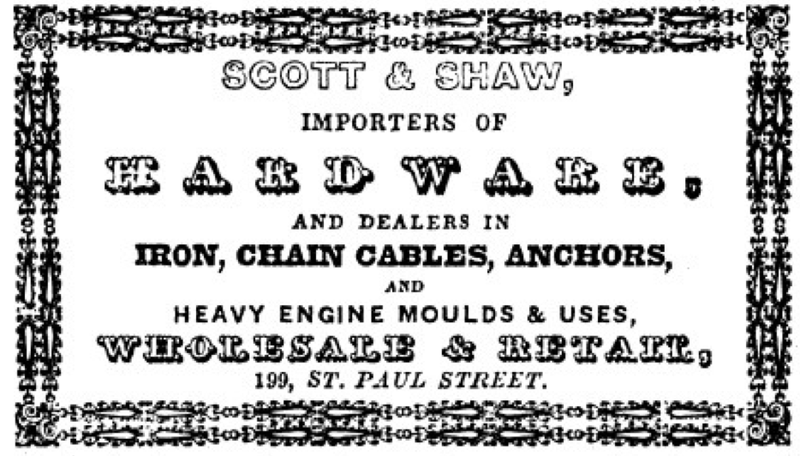 An addition to the page includes full versions of the directories in PDF format, as well as newly digitized directories which are not available through the database. 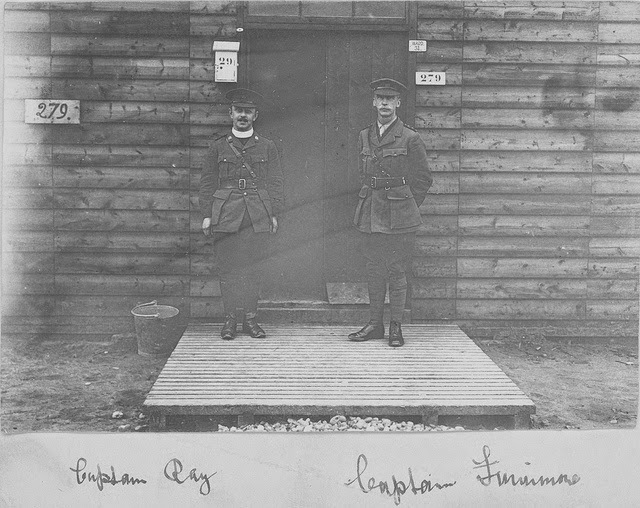 Harmen's brother, Jan Janse Ryckman, married Tryntie Janse and settled in Beverwyck. By 1663 Jan was dead, his widow remarried to Eldert Gerbertse Cruyff. They had one son living in 1663 - Albert Janse Ryckman, married to Neeltie Quackenbos. From this line came many of the Ontario Rykman families.